1. 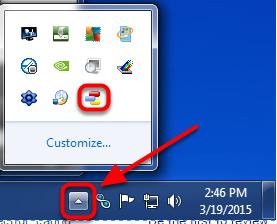 Locate and right click on the small StockFinder icon on the Windows Toolbar near the system clock. 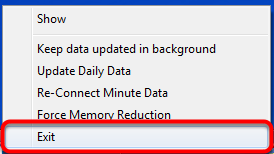 If it is not visible click the up facing triangle to show hidden icons and then right click on the StockFinder icon. 2. In the menu that comes up left click on Exit. 3. The StockFinder Data Downloader will then restart after a few seconds automatically.